Soft and sumptuous organically grown cotton flannel sheets and pillowcases. 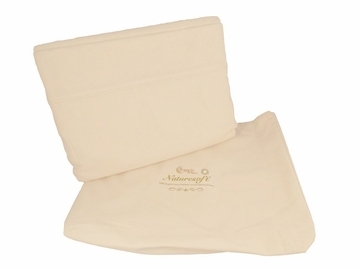 These comfortable sheets and bedding will keep you cozy and the cotton is purely organic. The Naturesoft sheets are GOTS Certified made of USA organic cotton processed and manufactured by Organics and More in Greenville, South Carolina. 100% organic and 100% U.S. made - all in Natural color with no color processing and very reasonably priced! "This is top quality organic cotton. It is soft like the description says!" "How perfect! Organic Cotton flannel sheets! A dream come true." "I love the re-usable shopping bag that they came in!" "Still cozy after two winters." "Very satisfied with the price and quality."